Why Precise Patient Registry System Has Become an inevitable part of Care Management? Home Database Management Health Talk Why Precise Patient Registry System Has Become an inevitable part of Care Management? The developed countries like- USA, UK, and other homes to hundreds of the patient registries that are highly focused on the large scale collection and analysis of the patient’s diagnosis data, socio-demographic data, care processes, and outcomes to get a real-view of clinical practice effectiveness, patient safety, health outcomes, cost-effectiveness, and quality of care. The patient registry system goes by various names such as quality registries, clinical database, or quality improvement program, but all the organized system of uniform data facilitates clinical research and better care management. These days registries are gaining great attention due to the vital role they play in clinical decision-making, which is typically impossible through clinical trials, EHRs, and other data sources. But, everything is not so rosy. All the patient registry cannot resolve the challenges and get failed to meet the goals for which they are built because they are not highly focused on the set of patients and diseases. For instance, the patient registry of asthmatic patients when created, including coughing, wheezing, and asthma patients in the trial, then driving the topline results becomes difficult. Here, involving just asthma patients, and maximizing the patient’s engagement ensure the data is measured and recorded in the registries with precision, which further helps in reducing care management cost and continual improvement in care. For taking the care management to the notch, building high-impact patient registries that are very much specific and include categorized population of patients is critical. It doesn’t matter what method is selected, the aim (taking the care management to new heights) of creating the patient registries must be fulfilled. Gone are the days when the patient registries were manually documented. The digitization of patient registries has enabled a central point of access to the registries for clinicians, patients, caregivers, and researchers. The readiness of data in the electronic database system makes the analysis of specific interventions and the clinical practice feasible with great ease. The computerized registries are handled by professionals from creation to management to make certain the data remain reliable, safe, and accurate, which enables faster data access and analysis. For instance, the IBD Plexus, which is a project of the Crohn’s and Colitis Foundation of America, has built a data exchange that house the patient’s data in a database. 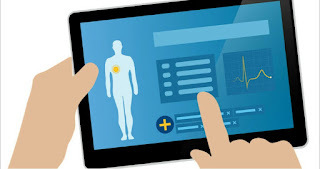 The organized data as the patient registry is accessible by researchers, patients, caregivers and clinicians through different user interfaces. The connected source of data has made the registry- the go-to disease management resource for inflammatory bowel disease patients, where the patients are incentivized when they log in and answer the health-related questions. The one-stop shop of data created by integrating multiple data sources facilitates data access in an easy manner. From the outset, the registries are built to understand the medical history of a disease, the impact of the clinical processes, and the results that medical treatment brought to the set of patients suffering from a disease of a particular geographic region. The data helps the physicians and healthcare providers to rightly monitor and estimate the impact of the medication that they will provide to the patients, in relation to natural history. It lets them evaluate the associated side-effects and risk factors, and identify whether the medication prescribed for the patients of specific regions with distinct symptoms will bring expected outcomes or not. The informed decisions raise the bar of healthcare standards and increase the patient’s life expectancy as well. In the cases of rare diseases, the pool of information including mutation, previous medical history, current health status, symptoms, and lifestyle is required to gather from the patients belongs to various nations to derive the slew of conclusions such as the influence of lifestyle on the disease, impact on mental health, or comparative analysis of treatment results in different regions. Government policies allow the sharing of patient data across the globe for better healthcare results. Note: The data sharing consent must be obtained from the participants to share the data across the network, else the registry host is subjected to penalties as defined in government data sharing policies. The patient registry development is a science of patient input where the care management is improved from the patient’s perspective so that new therapies can be discovered, designed, and delivered with cross-collaboration. It’s possible only when the data in the patient registry gets updated continuously. It’s a common practice in registry creation and its further development where registry host as a part of patient engagement program publish the reports and provide the real-time data or on a regular schedule to the patients about their health progress as opposed to others. By keeping the patients informed about the interim progress, the patient registry stays synced with patient’s on-going health progress. The updated data speed up and enhance medical research. The clinical trial management software allows healthcare leaders to design the patient registries that reveal the patient’s experience of living with a particular disease, in addition, their preferences, natural history, medical practices, and outcomes. The patient registry data plays a significant role in aligning the treatment to patient needs and aspirations with improved data accessibility, data-driven decisions, data sharing, and up-to-date data. Enrich the patient’s health from the patient’s perspective leveraging patient registries.